Tomorrow at Thornhill – Our Newest Member? In addition to all the other fun things we’ll be working on during our Holiday Exhibit Workshop at Thornhill tomorrow (see details in earlier post), we’ll also be assembling the very first Nature Artists’ Guild Scarecrow for The Morton Arboretum’s annual display. 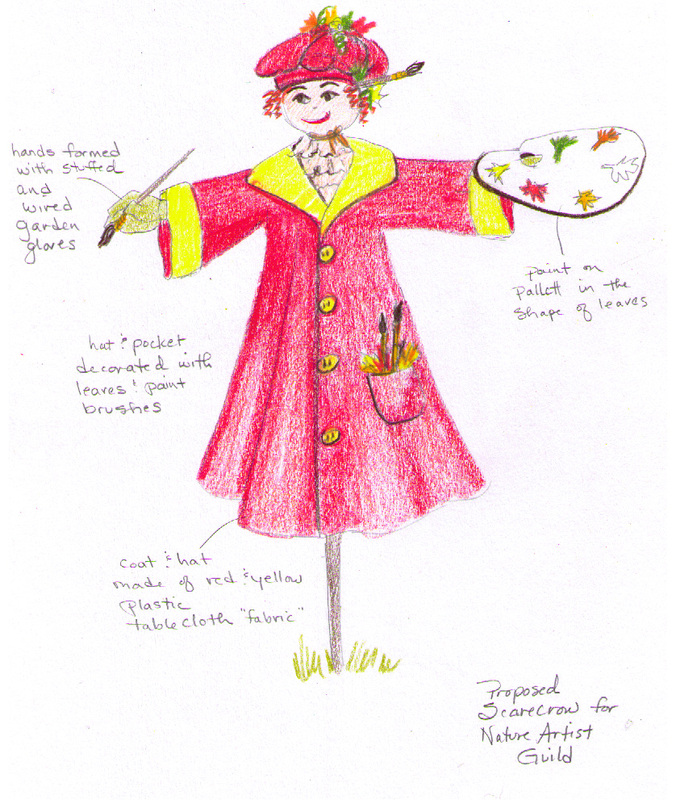 The gorgeous gal in the sketch below, by Nature Artists’ Guild member Patty Koenigsaecker, is what we hope our scarecrow will look when she’s done. Don’t you agree she just may be the cutest scarecrow ever? Please stop by the workshop any time between 10 and 2 to help get her ready for her debut! This entry was posted in Events, Meeting Information, Member Artwork, Paint-Outs, Volunteer!. Bookmark the permalink. ← Fundraising Workshop Next Weekend!